Blog - Law Office of E. R. Mousa, P.A. Filing bankruptcy should only be done after careful thought, consideration, and with the advice of an experienced bankruptcy attorney. Once it is decided that bankruptcy is the right choice, putting it off could be costing you thousands of dollars. I met with a client many years ago for a bankruptcy consult. After exploring all her options, she decided that filing Chapter 7 was the best way to handle her debts. She was making minimum monthly credit card payments of $650. There was no legal reason to delay filing, and she had funds available to pay for the bankruptcy. We scheduled time to sign the papers. She did not provide all the documents necessary to file, and constantly rescheduled her appointment to review and sign the bankruptcy paperwork. We stayed in contact with her periodically, and addressed all her concerns, but she just would not finalize the filing. After 29 months, she came in and finalized the chapter 7 filing. During the delay she continued to pay minimum credit card payments because she did not want to be sued, and she intended to file “right away”. She never realized how time quickly passed. Her credit card debts were basically unchanged since she paid minimum payments. The saddest takeaway from this story is she wasted $18,850 by not filing right away. That money could have been used to buy a new car, fund her child’s college fund, or to pay off her 401k loans. Filing bankruptcy is an uncomfortable event for many people. It is easier for them to delay because they are used to being in debt, they adjusted their lives to being in debt, and have convinced themselves, at least subconsciously, that changing their financial direction for the better is more painful and inconvenient than keeping the status quo. Please understand that if you or anyone else has these concerns, we can help you work through them. IS THERE A GOVERNMENT PROGRAM THAT GIVES YOU THE RIGHT TO SETTLE YOUR CREDIT CARD DEBTS? If you watch late night TV or listen to talk radio, you may have heard ads claiming there is a new government program that gives you a right to settle your credit card debts for a fraction of the balance. I am often asked if this is really true. While there are reputable debt settlement companies, there is no legitimate program that can “guarantee” or “gives you the right” to settle your personal credit card debts for pennies on the dollar. There are usually signs you can look for to determine if a company is offering a benefit or is just a scam. Unfortunately, our office has helped many people after they fell victim to questionable debt settlement programs. The stories they tell are similar. They pay money to a company to settle a debt, they are told to stop making payments to the creditor, the company tells them they could not reach a settlement with the creditor, and the fees they already paid covers their costs and fees. Instead of things getting better, they are worse off. They are further behind on the debt, their credit score takes a big hit, they lost the money paid to the company, and a collection lawsuit is filed. If you have debts and are considering enrolling in a debt management program, feel free to contact our office for advice before you commit to the program. When a Client decides that bankruptcy is the best option to resolve their debt problems, but hesitate to move forward, it is often from the mistaken belief that their credit will be ruined for 10 years. They are convinced that they will not be able to buy a home, buy a car, get a better job, or get back to a normal life for years after filing bankruptcy. But this is not true. 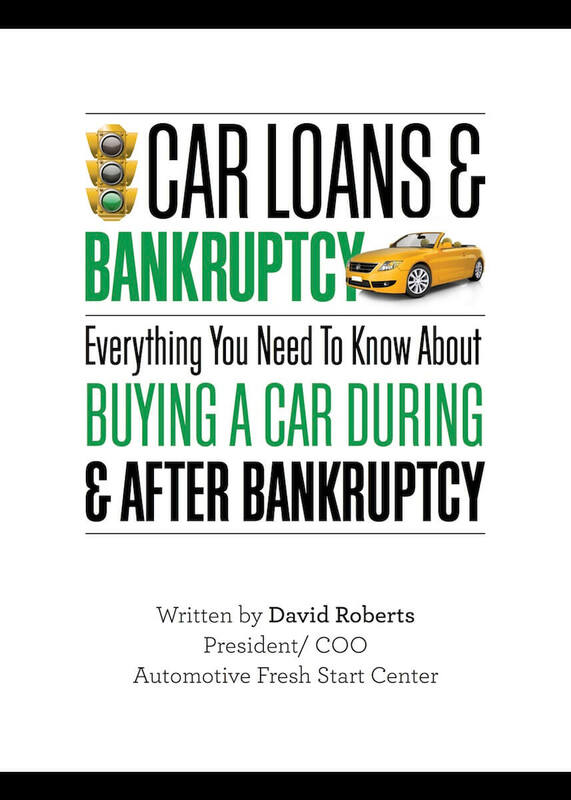 Once you file bankruptcy, you will feel financial stability immediately, and can have a great credit score- 720 or higher- within 12 to 24 months of discharge (for Chapter 7) or confirmation (for Chapter 13), provided you take the right steps. After working with over 2000 bankruptcy clients, I have identified five patterns of behavior that set apart those people that use their bankruptcy as an opportunity to turn over a new leaf, start anew, and recover from their bankruptcy fast. 1. Facing their fears- Instead of worrying about how bankruptcy could possibly harm them, they get a positive mindset, make a plan to get control of their financial future, and set a course of action to make sure their bankruptcy does not negatively impact their life. Fear of their financial future is not an option. 2. Start immediately- The faster you start, the faster you will see positive results. This sounds obvious, but taking action is very difficult for many people. 3. Open proper new lines of credit, without accruing debt- Clients who open specific lines of credit, but not new debt, recover much faster than those who never touch credit again after bankruptcy. 4. Be intentional- Clients who take action, plan ahead, budget, and complete the 7 steps to a 720 credit rebuilding program we provide them recover faster than those who return to old habits of inaction. 5. Communicate clearly, directly and honestly- Informing relatives, friends and employers that you filed bankruptcy is a personal choice. It is unlikely they will ever know you filed bankruptcy. Sometimes it is necessary to inform a friend or relative if they co-signed a debt, or a future employer if they run background checks. Clients who recover well after their bankruptcy are open, honest, and communicate directly to anyone they feel needs to know about their bankruptcy. Rebuilding our Clients’ life after bankruptcy is important to us. That is why I wrote a booklet titled Rebuilding Your Life After Bankruptcy- It’s Easier Than You Think. It is free to anyone who requests it, and will soon be available for free download on our website. Of course, if anyone has any questions, please feel free to contact us. On May 4, 2017, a bill was introduced in the House of Representatives that finally tackles the problem of student loan debt. HR 2366, titled Discharge Student Loans in Bankruptcy Act of 2017 is a simple, clean bill that allows student loan debt to be discharged in bankruptcy, just like other types of debt such as credit card or medical bills. With student loan debt nearing 1.4 trillion dollars, affecting over 40 million people, and with 70% of college or post high school students graduating with debt, Congress decided it was time to act. The bill is different than previous efforts. It has bi-partisan support, and was sponsored by Representatives of both parties. Current bankruptcy laws allow student loans to be discharged in bankruptcy in very limited circumstances. Debtors must prove they cannot maintain a minimal standard of living due to their student loan payments; their circumstances are not likely to change while they owe the debt; and they have made a good faith effort to repay their loan, including any income based repayment options for federal loans. These standards are very difficult to meet, leaving many debtors stuck with student loans that cannot be paid. It was not always that way. Before 1976, student loans were fully dischargeable in bankruptcy. After that, the laws were changed to state that a borrower had to wait 5 years from making the last payment or show undue hardship to get it discharged. 5 years was later extended to 7 years. Then only private loans were dischargeable, now no student loan is dischargeable in bankruptcy unless you can prove the factors listed above. In contrast, the law allows you to discharge old Federal Income Taxes with little effort. This bill is in its early stage, and getting it passed and signed into law is a long ways off, but it is a good start to finally solve this problem. If it ever is enacted into law, who knows what the final form will look like. That is why it is important for anyone interested in this issue to immediately contact their Member of Congress and let them know you support the bill in its current form. Earlier this month I received an urgent phone call from a client worried about a threatening email he just received. He told me the email was from a collector for the U.S. Government, it had accurate personal information such as social security number, address, employer, and drivers license number. He went on to say that the email demanded he pay a debt owed or they will immediately garnish his wages, bank accounts, and there is a warrant out for his arrest. After calming him down, I told him to send me the email to review. When I read it I knew immediately it was a scam. It had all the red flags of a typical scam. There were numerous misspellings, no mailing address or phone numbers, requested only an email response to a Gmail account, and it was sent from the “United States Of Federal Management”. Additionally, the client did not remember ever having this debt, and the U.S. Government sends legitimate notices by U.S. Mail. I called my client back and told him not to respond or send them money. What worried me more was the fact that they had accurate personal information on my client. I advised him to immediately check his credit reports, place a fraud alert with the credit bureaus, consider enrolling in a credit monitoring service, and report the scam to the proper authorities. This may sound like overkill, but the scammers have enough information to open all kinds of accounts online in his name. If you or anyone you know receives a similar email feel free to call us anytime. We will be happy to review it and help in any way possible. WHY IS WELLS FARGO BANK FREEZING MY BANK ACCOUNT? After you file bankruptcy, if you have an account with Wells Fargo Bank, you may get a letter notifying you that your account is frozen. This can occur even if you do not have any debts with the bank. If you are considering filing bankruptcy and have an account with Wells Fargo Bank there are actions you need to take before and after you file. Credit Unions and some Banks have always deducted funds from your accounts if you had debts with them. This is called a setoff, or enforcing their secured claim since credit union accounts are usually collateral for any debts owed to them. What makes this different is money is frozen, even if you owe the bank nothing. Wells Fargo Bank appears to be the only bank doing this so far, but more banks are sure to follow. Right now, Wells Fargo is holding funds in excess of $5,000. They claim that when someone files bankruptcy, all property of the Debtor becomes property of the Bankruptcy Estate, and under the Bankruptcy Code, they have a duty to hold all funds until they get direction from the Bankruptcy Trustee or Court. While this is technically true, Debtors are allowed to exempt or keep property that may include part or all of their bank accounts. The only way to get the funds released is to contact the Trustee assigned to the case and convince them to direct the Bank to release the funds, wait 30 days after your First Meeting of Creditors to see if the Trustee objects to your claim that the funds are exempt, or hope to get a Court Order releasing the funds, which may take a while. All of these alternatives will not help when you need the funds right away to pay bills. The obvious solution right now is to move funds out of Wells Fargo Bank to another bank, and make no further deposits at Wells Fargo until after the Bankruptcy. Make sure you have no debts with the new bank or credit union, and hope they don’t follow Wells Fargo Bank’s lead. I JUST GOT SERVED WITH A LAWSUIT FOR A DEBT, HOW DO I RESPOND? It is never a pleasant experience when you answer the door and find a process server with a brand new lawsuit for a past due debt. Once you are served, the worse thing you can do is nothing, which is a common reaction. If you ignore the lawsuit, a Civil Judgment will eventually be entered against you. Having the lawsuit reviewed by an attorney is the first thing you should do. But if you can’t get to a lawyer right away, you need to respond to the lawsuit. How you respond to a Florida case depends on whether the case is a Small Claims, County, or Circuit Court case. SMALL CLAIMS –	Small Claims Court is handled by County Court Judges, and is for cases with dollar amounts less than $5,000. The rules are less formal, and cases are often handled without attorneys. If you are served with a Small Claims lawsuit, you will usually have a Pre-Trial date already listed in the paperwork. You normally do not need to file a written response. When you go to the Pre-Trial Hearing, the Clerk will ask you if you admit or deny the debt. If you deny it, the Clerk will set the matter for a trial. If you admit, but need time to pay, there are often mediators who can help you reach a settlement, or you can settle directly with the creditor’s lawyer. If you do not attend the Pre-Trial Hearing, a Judgment will be entered against you. COUNTY COURT –	If the dollar amount of a debt is more than $5,000, but less than $15,000, the matter is heard in County Court. Unlike Small Claims where a Pre-Trial Hearing is already set, in these cases, a written response must be filed within 20 days of service. If an Answer is not filed, a Default will be entered and eventually a Judgment. The method and place to file your Answer is listed in the paperwork you received. CIRCUIT COURT –	If the dollar amount is more than $15,000, it is in the Circuit Court. The procedure is just like County Court cases, in that; you must file a written response within 20 days of service, or risk a Default and Judgment. If you cannot get to a lawyer right away, any Answer is usually sufficient to avoid a Default. It does not have to be perfect or have legal jargon. Just make sure you follow the instructions on how and where to file. After that, you really should hire a lawyer to represent you or at least to review the case, especially for County and Circuit Court cases. One of the most frequent questions we get from our bankruptcy clients is “What do I need to get together for my bankruptcy filing”? There are numerous documents and items we need to make sure your bankruptcy goes through as smoothly as possible. We make sure that all our new clients receive a packet with instructions, information, and a very detailed list of items to start gathering. Although every Chapter 7 Trustee asks for different things, there are 3 items that every Trustee asks for, and if they are not provided, your case can be dismissed. PAYSTUBS – You must produce all paystubs and evidence of income going back 6 months prior to filing. That includes paystubs of spouses unless you are separated. If you are self-employed, you must provide a detailed profit and loss statement. This is required in order to substantiate the income and payroll deductions you listed in your bankruptcy paperwork. FEDERAL TAX RETURNS –	You must produce full tax returns for 3 years prior to filing. This includes all schedules. Tax returns are used to confirm income, claimed dependents, evidence of a business, evidence of real property (due to mortgage interest deductions), and the amount and type of refund you may be receiving. BANK STATEMENTS –	You must produce bank statements for 3 to 12 months prior to filing. This includes any and all open or closed accounts in which you were named on the account. It is best to go back 12 months, and get them as soon as possible since you may not have access to older statements. Trustees like to review bank statements to confirm cash on hand, and to determine if there have been any unusual deposits or withdraws. You should gather these items and have them ready for your lawyer to review before you file your bankruptcy paperwork. It is important that your bankruptcy petition and schedules match with the information on these 3 items, since you are signing under penalty of perjury that all the information filed is true and correct. If you are thinking of filing bankruptcy, start saving these items now to speed up the process and reduce additional stress when you do decide to file. Clients are often shocked to discover that the balances due on their student loans are much higher than their original loans. They are wondering how a $30,000 student loan balance is now $55,000 plus interest. The first question I ask is how many deferments or forbearances have they used, and when was the last time they made a payment. The answer is typically they have been in deferments and forbearances for quite a while, and have made very few payments. In that case, the answer for the rise in the principle is interest capitalizing. Although student loan payments are not due while you are attending school, any unsubsidized loans continue to accrue interest. 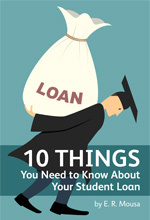 If your loans are in deferment or forbearance, interest continues to accrue on most loans. Once you are required to start making payments, the unpaid interest is added to the balance due, and interest begins to grow on the new balance. For example, if the original loan is $15,000, and $10,000 of unpaid interest accumulated while you were in school or in loan deferment, when you have to start making payments, the new principle is $25,000, plus interest. That is due to capitalized interest. You can reduce capitalized interest by making interest payments while attending school or during any deferments and forbearances. Even a small or partial payment will help. You can also make extra payments during repayment periods if you think you will get a forbearance or deferment in the near future. If you are unable to make these payments, some people rely on family to help them make interest payments until they are able to make regular payments. Your monthly student loan payment could be much lower if you can avoid capitalized interest. This is especially true for private student loans due to limited repayment options. If you ignore it, be prepared to pay back a larger loan balance. Clients often ask us what they can do to raise or maintain an excellent credit score. There are numerous factors that affect your credit score. Many people believe that all they have to do is review their credit report for errors, pay their bills on time, and let time pass. While this is important, we have found that there are 5 factors that primarily effect your credit score. Payment History – About 35% of your credit score is determined by your payment history. Paying your bill on time, each and every month is an absolute necessity if you want an excellent credit score. This may seem obvious, but many of our clients fail to pay their bills, even when they have the funds. If you are unable to make a payment, contact the creditor to make payment arrangements. Paying nothing may immediately drop your score. Percentage of Outstanding Debt – Credit card and debt utilization makes up about 30% of your score. Credit card and debt utilization rate is the amount of debt compared to total limits. For example, if the total debt is $20,000 and you have credit limits of $100,000, the utilization rate is 20%. The lower the better. Once you get over 30%, you should take action to lower the percentage. You should also try to keep each individual account at a low percentage in addition to the total accounts. Age of Accounts – the age of your accounts make up about 15% of your score. The older the better. That is why you should keep older accounts open. Type of accounts – This makes up about 10% of your credit score. A good mix of accounts is ideal, such as credit cards, car loans, secured loans, ect. We do not recommend that you obtain unnecessary credit just to raise your score. However, having no available credit could be just as bad. Three to five credit cards or accounts is enough. 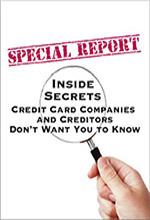 Credit Inquires – This makes up about 10% of your score. If you apply or open numerous credit cards, you are hurting your score. Although it is a small percentage, and is often temporary, it does have an effect. If you have a poor credit score, it can be rebuilt to an excellent score in very little time by improving these factors.